Situated in Southampton, this luxury inn is within 9 mi (15 km) of Marwell Zoo, Ageas Bowl Cricket Ground, and Manor Farm Country Park. Bursledon Windmill and Ashcroft Arts Centre are also within 9 mi (15 km). 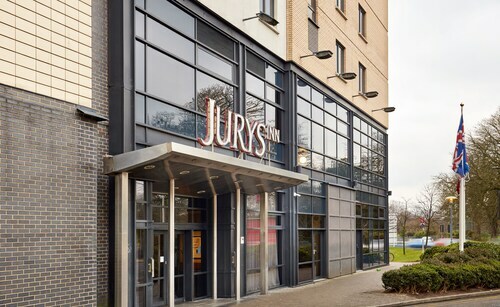 Located in Southampton City Centre, this eco-friendly hotel is within a 10-minute walk of Southampton Solent University and Mayflower Theatre. St. Mary's Stadium and WestQuay Shopping Centre are also within 1 mi (2 km). Southampton Central Station is 15 minutes by foot and Southampton St Denys Station is 22 minutes. Situated in Southsea, this hotel is within 1 mi (2 km) of Fratton Park and University of Portsmouth. Gunwharf Quays and Portsmouth Historic Dockyard are also within 3 mi (5 km). Portsmouth Fratton Station is 9 minutes by foot and Portsmouth & Southsea Station is 25 minutes. 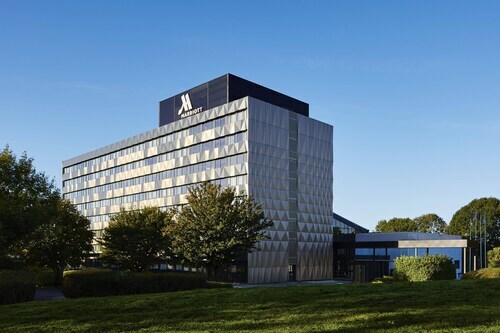 Located in Southampton City Centre, this spa hotel is within a 10-minute walk of The Quays and WestQuay Shopping Centre. Southampton Solent University and Mayflower Theatre are also within 1 mi (2 km). Southampton Central Station is 17 minutes by foot. How Much is a Hotel Room in Bishops Waltham? Hotels in Bishops Waltham start at $45 per night. Prices and availability subject to change. Additional terms may apply. Are you traveling to Hampshire and need to find somewhere to put your feet up in between making memories in Bishops Waltham? Travelocity has you covered. If you're planning to make memories in Bishops Waltham, Travelocity boasts around 10 great places to stay within a 6-mile (10-kilometer) distance of the town's heart. 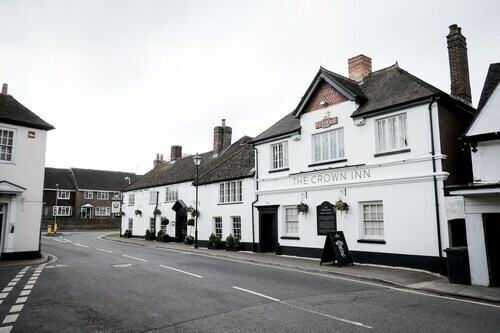 The The Crown Inn, is a convenient choice for when you come to town thanks to the fact that it's the most centrally situated hotel choice in Bishops Waltham. The Lainston House Hotel can be found 11 miles (18 kilometers) from the main part of Bishops Waltham. 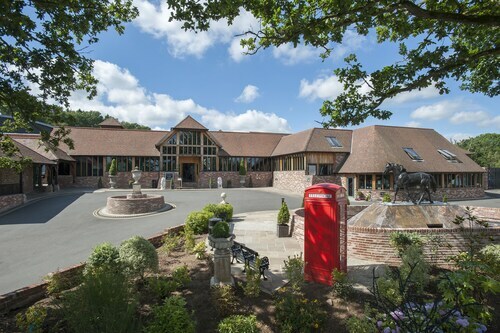 On the other hand, the Solent Hotel and Spa is positioned 5 miles (9 kilometers) away. Other possible Travelocity-listed hotels are the Priory Bay Hotel and the The Clarence Hotel. 6 miles (10 kilometers) to the southwest of Bishops Waltham, you'll reach Southampton, which is home to Southampton Maritime Museum and Riverside Park. The Botleigh Grange Hotel and Holiday Inn Express Southampton M27 Jct7 are some of the great apartment and hotel options in Southampton. 19 miles (30 kilometers) to the southwest of Bishops Waltham, you can find New Forest, which is home to the Careys Manor & Senspa and Rhinefield House Hotel. If you come to New Forest, be sure to explore the Burley Golf Club and Burley Park. Get a fix of sport by making a trip to Wembley Stadium, which you will find 60 miles (93 kilometers) to the northeast of Bishops Waltham. Find a Travelocity-listed room nearby to the action at the The Drayton Court Hotel or the Hilton London Wembley. Situated 6 miles (10 kilometers) from Bishops Waltham is Southampton Airport. Find a room nearby at Holiday Inn Southampton-Eastleigh M3, jct13 or Hilton Southampton Hotel. This hotel is nearby Tesco, McDonlad's, KFC. It's very convenience. The room is quiet. The executive floor was a great value. Really enjoyed having refrigerator and tea kettle in the room for mornings. The room was very well stocked with water, soda and even chocolate! Good quality, reasonable value, great location. Did not play golf. Very convenient location for waterfront activities. Ibis Budget is an excellent buy for the money. The room was small but was very well equipped. The staff were very friendly and always ready to help us. The location was close to restaurants and shopping. We had a wonderful time in Southampton. The only really irritating thing is the open ceilings between the rec center/ pool and dining area! Screaming children and pool noises do not make for a relaxing meal.